Cosawes Barton, near Falmouth, is owned by Louise and Andy Bishop and, along with their two children, they will vacate their house for 6 weeks in July and August to allow self-catering accommodation for up to 10 guests. Perfect for a large family gathering, adults will love the spacious accommodation. There is a large reception hall, living room, separate dining room and kitchen with granite-topped centre island and Aga providing perfect spaces to entertain and relax, as well as the large patio area with exterior furniture and barbecue facilities outside. Cosawes Barton is great for children too as there is so much space to explore. The huge annexe, which was the original barn, has its own mezzanine sitting room, a perfect place to unwind and there is a separate games room in the adjoining courtyard. Children can also go free-range outside, with the exclusive use of the private walled garden as well as a further 17 acres of woodland and fields. Sleeping arrangements are flexible with the choice of a master double bedroom with en-suite shower room, two twin bedrooms, a double bedroom and a double sofa bed in the annexe. There is also a separate family bathroom and a further shower room in the mezzanine. Cots and high chairs can be arranged upon request. The history of Cosawes Barton, that is the land and all of its owners, can be dated back to 1066 and the gardens are for the first time this year part of the National Gardens Scheme. There are also two new barn conversions, Carvosso Mill and Tremayne Barn, on site, which will be available to rent from May 2013. Both sleep up to 6 guests, allow up to 2 well behaved dogs and have full access to the woodland and fields. A week from 26th May costs £699. 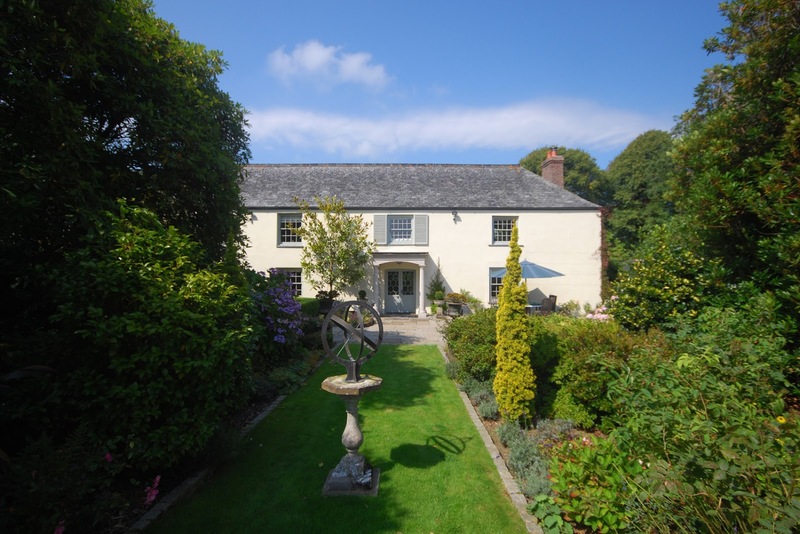 Cosawes Barton is available from 19th July to 30th August 2013 and costs £2,999 per week.